Do you know the Difference? Repairs vs Improvements. Do you know the difference between a repair and an improvement? In Real Estate this is often an issue when the home inspection is complete. Inspectors are paid to pick a home apart. They scour the home for any defects, potential defects, items that need repair and items that could use improvement. Often when the buyer receives a copy of the report they go in to immediate panic mode. The home isn’t perfect so the seller must fix everything on the report. They see the report as a punch-list of items the seller should be required to correct. Nothing is further from the truth. The report is meant to provide the buyer with an evaluation of the overall condition of the property. A defect is something that doesn’t work, is not working correctly, or presents a hazard of some kind.If this is the case, than certainly the item(s) should be addressed with the seller. Very likely the seller was unaware of the issue and will be agreeable to having it corrected. Where things get sticky is when the buyer sees every item on the report as a defect. Often the inspector will list items on the report that are suggested improvements the buyer might want to consider sometime in the future. They are not defects because they are functioning as intended, they do not present a hazard; they are simply items that the buyer might want to consider improving at some point in time. They may not meet building code standards for today but were likely up to code at the time the property was constructed. Building code change every few years so what is necessary today for new construction, was not required in the year the home was built. There is no requirement in the Arizona Residential Purchase Contract for a home to meet today’s code requirements to be sold. Other items that may be pointed out that are not defects are things like the age of the appliances, the approximate age of a roof, cosmetic items like paint or carpet, and others that may not be perfect but are not defective. 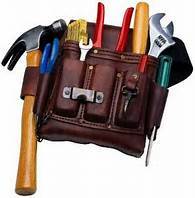 These items are not repair items, they are simply items the inspector points out that may require further investigation by a professional or items the buyer may wish to improve at some time in the future. No home is perfect. Even new homes can have issues. The inspector is paid to find and point out items of concern whether defective or an improvement. It is important to know the difference. It is important to note that in Arizona homes are sold in “Present Physical Condition” and the seller is not obligated to complete any repairs. They have the option to say yes, no, or fix some items and not others. It is then the buyer’s option to decide of the seller’s response is acceptable. Be reasonable in your expectations and everyone will come out a winner in the end. Have questions about real estate or looking to buy or sell, call me. I am here to assist you in any way I can. Thank you for reading, until next time…..